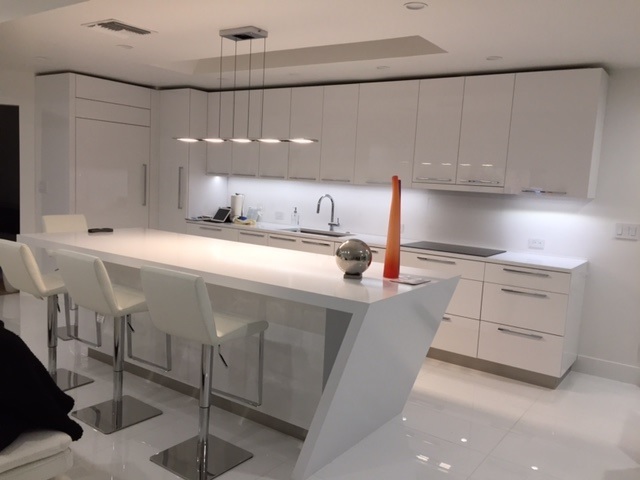 We are family owned fabricators and installers of custom countertops and have been serving south Florida from the same location for OVER 25 years. We employ fabricators and installers with exceptional talent and many years of experience. We offer quality work with quality products at competitive prices. We specialize in both commercial and residential installations and provide our services from Vero Beach to Key West. Fax, or bring in a cabinet layout for a quick estimate or call for a complimentary field measure. Visit our showroom to see our products and meet our family. There is always someone here to assist you during hours of operation. 8:00am - 4:30 pm Monday thru Friday.